As you might have discovered, most venues will not allow outside catering. This can cause a real problem for weddings, corporate events and private parties when you have a special diet that needs to be followed for your group. But sometimes a party has a theme and the in-house catering might not do a nice job with the types of food that fits the theme, making the event awkward. But luckily, there is a simple solution for this. There is one event center that allows you to use outside catering. Your favorite caterer can come to the venue and do all the cooking to your specifications. This is possible at Villa Ragusa, a gorgeous venue that is often used for wedding receptions, corporate meetings and private parties. This venue completely understands that you might need to use your caterer instead of their in-house caterer. 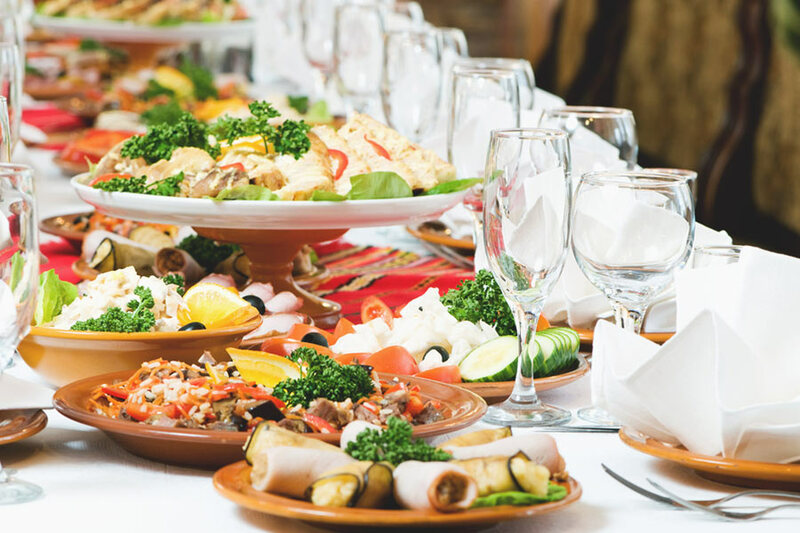 Of course, there are some guidelines that must be followed when you use an outside caterer. This ensures food safety and makes sure your caterer can work inside our kitchen to get what they need to get done. You can download our guidelines for using an outside caterer by clicking this link to bring up the pdf file then use the download link in the upper right corner of the document. Alternatively, you can right click on it and use “save as” to save to your computer. At Villa Ragusa, we are happy to accommodate your menu needs and allow you to use the caterer of your choice. We want to make certain your event is a very special one and has all the perfect finishing touches you need to have your dream wedding or put on an amazing party. Give us a call and we will answer any questions you have about caterers using our venue.